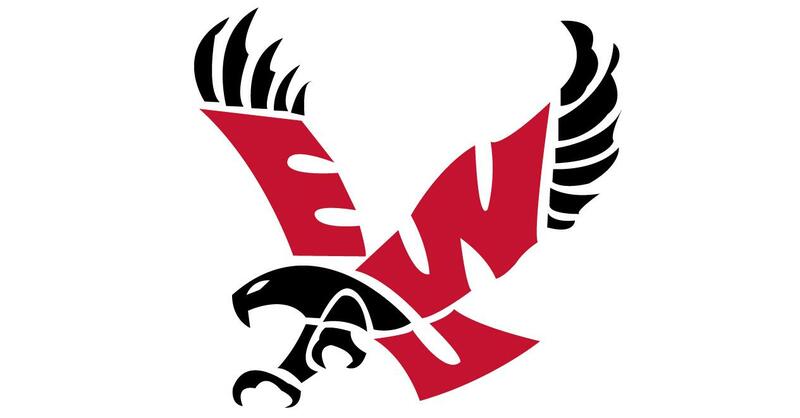 UPDATED: Wed., Nov. 14, 2018, 8:25 p.m.
Uriah Howard and Violet Kapri Morrow combined for 30 points and 13 rebounds and the Eastern Washington Eagles pulled away in the second half for a 66-45 nonconference women’s basketball victory over the Division II Eastern Oregon Mountaineers on Wednesday night in Cheney. Howard finished with 16 points and six rebounds and Morrow chipped in with 14 points and seven boards for the Eagles, who picked up their first win after a season-opening loss to Gonzaga. The Eagles got four points from Howard and Alissa Sealby in a game-opening 12-0 run and never trailed. Eastern lead 24-11 after the first quarter and increased its advantage to 32-16 before Kylie Smith scored five points in a 10-0 Mountaineers run to close the gap to 32-26 at halftime. EWU wasted little time in regaining control of the game to start the third quarter with Howard scoring five in an 11-0 spurt that pushed the lead to double digits for the remainder of the game. Sealby finished with 11 points. Maren Herrud scored nearly half of EOU’s points, finishing with a game-high 21. Published: Nov. 14, 2018, 8:20 p.m. Updated: Nov. 14, 2018, 8:25 p.m.